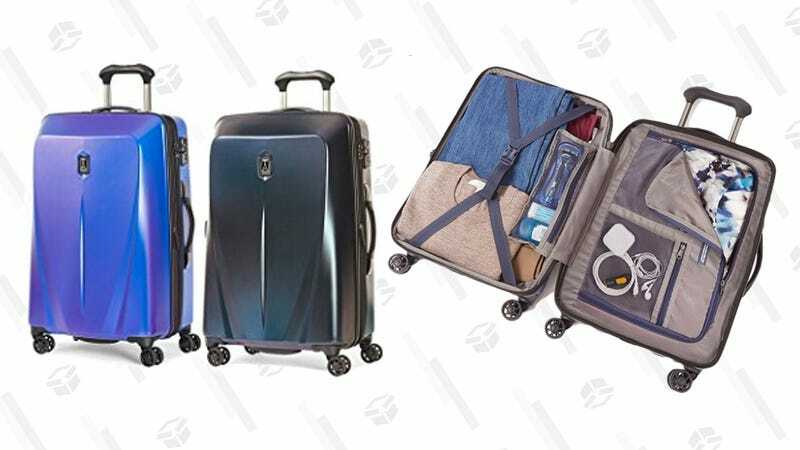 Travelpro makes our readers’ favorite carry-on, and today, Woot is discounting two larger Travelpro hardside suitcases, so you can prepare for your summer travel plans. Available in two colors, these roomy 25-inch suitcases are discounted by $100 when compared to the Travelpro website. They expand up to 2 inches for you over-packers, include a TSA-approved lock, and spinners wheels for easy maneuvering. This deal will only last through the end of the day, so don’t let this deal leave the gate without you.